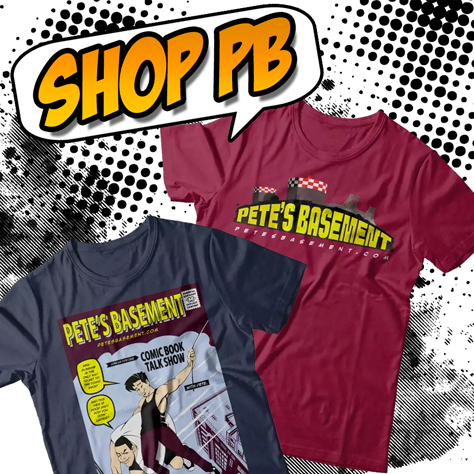 It's another wacky, zany, drunk, UNCUT episode of Pete's Basement! Jay the Unstoppable stops by the Basement just in time to join the boys in celebrating National Pizza Party Day! (Seriously, Google it) Jay's got a Kickstarter going for the graphic novel of his title Dragonstorm and he's gonna' tell us all about the storyline and what sorts of awesome prizes await us once we kick in. From there, Garth Ennis takes us on what could shape up to be a literal trip through Hell itself, and the boys takes us on so many tangents it was hard to keep track of.